Has it always been your dream to move to Colorado? Maybe, you are being relocated to Denver, the largest city in Colorado, for a new job opportunity. On the other hand, maybe you just want to check out the fly fishing, skiing, horseback riding, and hiking to see if Colorado is a good fit for you. Regardless of your reasons for going to the state, Colorado, and especially Denver, make a great place to live, work, and play. Denver is the capital of the state of Colorado. It has been ranked one of the best cities to live in and retire in because of the job market and overall quality of life. This is why over 650,000 people call the city their home. With thousands of acres in parks, trails, and playgrounds, Denver offers its residents and visitors every opportunity to get out into nature. At National Dispatch, we understand that moving can be difficult. We make it our mission to make our customers’ lives easier by providing hassle-free car shipping services. Use an auto transport company to make the transition to your new home an easy one. Learn more about Colorado Car Shipping Services. Getting yourself and all your belongings from one part of the country to the other can be quite the challenge. When it comes to getting your car from one city to another, the best way to do so is with the help of a professional car shipping company. Here are just a few reasons why shipping a car is better than driving it. Mileage plays a crucial role in the resale value of a vehicle. Therefore, it can ultimately lead to the depreciation of the car. The value of a car goes down as more miles are put on the vehicle. This is one of the reasons why auto transport is such a desired service. Another reason is because road trips can put a lot of wear and tear on a vehicle, especially on the tires and engine. With car shipping, you don’t have to worry about any of these factors that can wreak havoc on your car. Although mileage and wear and tear takes its toll on all vehicles, it is especially important to keep in mind if you have a classic or high-end model. Keeping it in pristine condition is your number one priority. We know you are busy, between work and dropping the kids off at school. It always seems to be that we are running short on time. When you are in the midst of a move, you don’t want to have to stress with driving hours to your destination. It’s a waste of time. It is much easier to fly on a plane, and leave the driving to the professionals. You will have peace of mind knowing your car is in good hands. In addition, you can start relaxing sooner, rather than later. Think about how much money it would cost you to drive your car across the country. It would take several days of driving. That would require you to stop for gas, food, and lodging. Then, you must also take into consideration how miserable a drive like that can be, especially if you are taking it by yourself. You could save money by shipping your car with an auto transport company. Learn more by reading 9 Reasons To Transport Your Car. 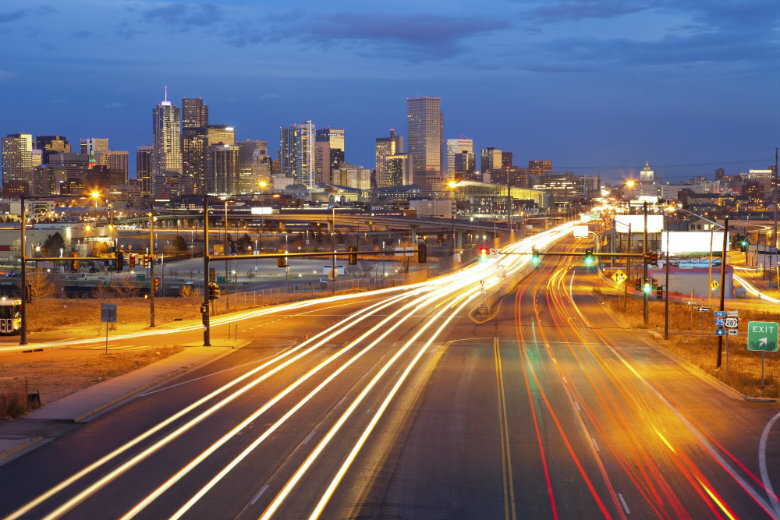 Before moving to Denver, there are a few things that you must know about the city. What is it truly like to live there? Can you see yourself living there for years to come? We hope you will find the answers you are looking for, below. Let’s go ahead and rip the Band-aid off. Denver is not the cheapest city to live in with a cost of living that is above the national average. With an increasing population, the cost of housing is on the rise. However, it does offer a better value over many other large metropolitan areas. In Denver, the weather can be somewhat unpredictable. It is not uncommon for the city to see sudden changes. It can go from sunny to rainy in the blink of an eye. In general, Denver is sunny and dry. In the summer, temperatures are typically in the 70s and 80s. The winter brings cooler weather but not frigid, with temperatures typically between 30 and 40 degrees. Snow does fall, but it usually does not stick to the ground. The weather and climate in Denver make it the perfect place for outdoor enthusiasts. Due to its location near the Rocky Mountains, the Mile High City offers activities to spark a wide array of interests. The most common activities revolve around outdoor recreation. However, there are many other things to do, as well. Here are just a few. Mount Evans – You can take a tour of the mountain from some of the most beautiful peaks. The staff will pick you up from your hotel and take you on a drive around the mountain, stopping at points along the way. If winding turns and steep inclines aren’t your thing, another attraction might better suit you. Coors Field – This is the home field of the Colorado Rockies. If you enjoy watching Baseball, be sure to grab tickets to a game. Denver Art Museum – The museum is known for its Native American art collection, as well as being home to the only major Asian art collection in the Rocky Mountains. Denver Zoo – This zoo is home to over 4,000 animals from a variety of species. It is fun for the whole family. Forney Museum of Transportation – Of course, we had to include this one on the list. The museum includes transportation of all kinds, from buggies to carriages to aircraft. National Dispatch is a nationwide car shipping company with a company-owned fleet. If you are in need of auto transport services, request a free, instant car shipping quote today. No personal information is required. You can also call us at 800-321-2051.